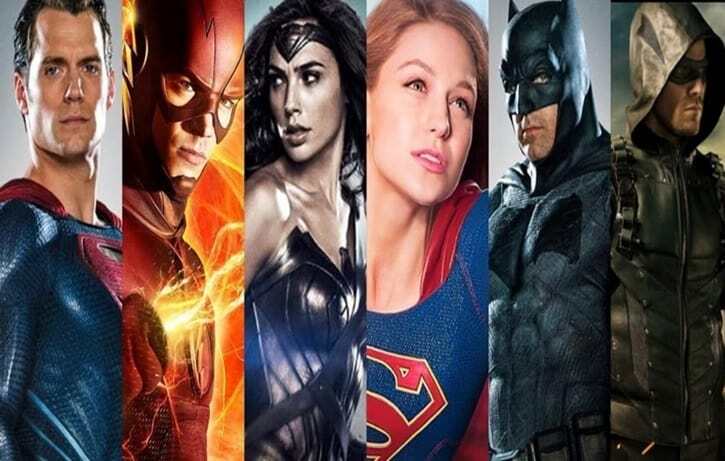 DC and Warner Bros. have established that all the DC TV Universe shows are separate from the cinematic universe, known as the DC Extended Universe. While I’ll always be a bit bummed out about the seperation, I’ve accepted the reality of it. What isn’t sitting well though is the constant restrictions that the film division seems to be putting on the television side, as early as the Smallville days. For many known, but mostly unknown reasons, Warner Bros. Pictures have always been against the idea of having some of their major players like Superman, Wonder Woman, Batman, Green Lantern and more appear on any of their DC television shows while different versions of them are also on the big screen. There is always the classic argument of “Warner Bros. doesn’t want to confuse their audience with multiple versions all at once” – well that ship has already sailed. Because it’s more confusing why Superman can’t show up on his cousin’s TV show for at least a second where we actually see the man’s face. It makes less sense why we can’t have a Suicide Squad that was established on Arrow almost two years before the movie was even announced. But as of late, we’ve begun to see even more restrictions, one strong example being the termination of the Suicide Squad on Arrow due to the Suicide Squad film that is set to come out on August 5. Season 3 marked as the beginning of the end for Task Force X in the DC Television Universe when Deadshot (Michael Rowe) was killed off, with several members also having been written off through their tie-in digital comics and now recently in Season 4, the death of Amanda Waller. Let’s also look at Supergirl – I by on means don’t need Superman to show up on her show as Kara Zor-El is doing an excellent job leading the show without her cousin. But the core reason why we’ll never see him – at least in the next few seasons – isn’t only because the show is centered around her, but also due to the film executives not wanting another Superman in live-action while Henry Cavill plays the Man of Steel. The only “appearances” we’ve had of the Last Son of Krypton is a brief cameo in the pilot where we didn’t see his face, the third episode where he saves a Kara that just happens to pass out the minute he arrives and then through IM messaging. In an early episode, Clark promises Kara to not intervine with her job as National City’s protector as she wants to be able to handle this on her own without having her cousin in blue swoop in every time. That’s a good way to have the series nor Kara rely on Superman while at the same time letting the viewers know that he is still part of her life. But there will be times when, from a logical story perspetive, it won’t hold up, for examle in episode 8 and 9 when Kara had to deal with her Kryptonian aunt Astra, her husband Non and at least 3-5 more Kryptonians. 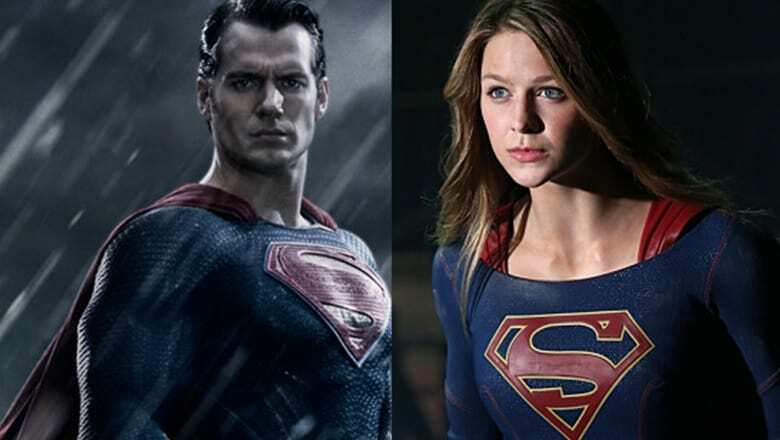 Do we really expect Superman to not break his promise to her and fly over to National City as back-up? No, the Man of Steel would regardless of what his cousin thinks, get over there as quickly as possible because one Kryptonian versus a group of them can’t end well. But because we have a film division that is simply not sharing, it’s a plot point that is just left unexplained. This is just one of many exaggerated restrictions that the DC TV franchise has to face. 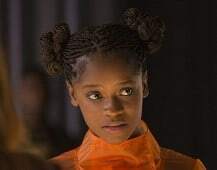 We have had statements from the higher ups the television side is supposed to get to play with the bigger toys too, and not get as restrictied by the films as they have so far. Back in November last year, Variety ran a piece on WB president Kevin Tsujihara, DC Entertainment’s Diane Nelson, Geoff Johns and more where they stressed about films not triumphing over television anymore. That there was supposed to be this loosening up on letting television using some of the bigger DC characters too. So far, I have yet to see it and honestly, I’m not sure if we’ll ever get to a point where they do honor that statement. The biggest question for me will always be “why?” Why can’t we have two actors playing Superman, Batman or Wonder Woman at the same time, for example, in TV and film? How is it threatining to the movies that Arrow uses the Suicide Squad at the same time as the films? I get that this business is all about money and that they want to make their financial wins on their franchises, but should that really be a reason for DC TV to not get to use the same characters? No, it shouldn’t – Warner Bros. Pictures and Warner Bros. Television are part of the same family, whatever is a win for one side, is a win for the rest. In addition, wasn’t the whole point of seperating the two universes so that both creative sides could do what they wanted to do without having to be restricted or having to follow with what the other side is doing? Once agin, my hopes aren’t high because I have yet to see hints that the restrictions are going away, but stranger things has happened. Those are my thoughts, but now I want to hear it from you: do you think DC Television should be allowed to use the bigger DC characters as well? Why or why not? Let us know in the comments below with your thoughts. This is the consequence of a shared universe. I actually mostly agree with WB/DC’s logic here; although, I think it was dumb to kill off key Suicide Squad characters for the movies. Those are exactly the kinds of characters who should be able to exist on both television and the movies. Since the Squad itself consists of a revolving roster, then sure. But not the same characters. characters or make those characters off limits, but the decision to kill them off once they’ve been introduced simply to make room for other actors to play them in another media is wasteful. Most people who will see Suicide Squad do not watch Arrow, so the conflict is really minimal. The beauty of keeping everything separate should be the fact that TV people generally don’t have to worry about the movie people when determining the plots they can run with (obviously, even that should have limits). There is truth to what you’re saying. I think DC shot themselves in the foot, by making this hard and fast rule. Especially since it’s clear that they are not always sticking to it–not that I was expecting them to. As someone who watches both the shows, as well as the upcoming movies, I would much rather see a superior version of a character on one or the other (that typically means the movies). Using the SS as an example, that means the movie will be far superlative to the TV version. The TV version of Deadshot, Amanda Waller, and Capt. Boomerang were barely recurring roles. And if you can name the actors that play these characters on DCTV, then you will get a no-prize. Cuz I sure can’t. So why not let the movie side have these characters? You don’t think Will Smith will make a better Deadshot? Or Viola Davis will make a better Waller? And for those that do watch both the movies and TV shows, who would want to see a poor man’s version of either? Besides, as I’d stated before, the DCTV universe is big enough to accommodate plenty of characters that the movies won’t touch. 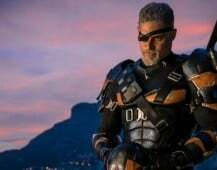 Although, characters like Martian Manhunter, Deathstroke, and even the Flash should be reserved for the films, I’m good with them being on TV, since the TV shows have set the precedent. It’s a tricky line to walk because on the one hand, in the case of a show like SUPERGIRL, I think it’s a benefit not having Clark show up and overshadow Kara. The show is very conscious of the fact that Supergirl has always been just ‘the girl version of Superman,’ so it’s very important both textually and meta-textually that Kara be allowed to do her own thing without the last son of Krypton showing up to lend a hand every time things get rough. On the other hand, when you have characters like Deadshot and Amanda Walker being effectively executed by the film division, I take issue with that. Recently Zack Snyder was quoted saying how this multiverse of DC movies and television shows benefits fans by allowing multiple versions of these characters to exist simultaneously and appeal to different sensibilities, but that argument becomes baloney when the film division says, “no, actually, these are our toys and you’re not allowed to play with them.” This same issue is a handicap for Marvel on TV as well, but at least there it makes some sort of sense because it’s a shared universe, but there’s no reason not to let the DC’s TV team have unrestricted access to the whole stable of classic (and not-so-classic) characters, especially when their track record has proven to be so strong. I’m curious whether you’ve resolved your issues with Ezra Miller as Flash in the feature film or whether you’re going to keep taking pot shots at WB not using Grant Gustin in the cinematic universe. If you’re going to stay conflicted about that, then you answer your own question as to why- just creatively- the WB finds themselves with restrictions… because fans like you tore apart and criticized something that hasn’t even been released, that Grant himself supports, and which most open-minded fans are used to… having multiple renditions of the same characters across media. If you’re still going to keep arguing and criticizing the decision to have another Flash and not merge film and TV, that’s EXACTLY the reason- creatively- they can’t leave the toy chest unrestricted BECAUSE they catch flak from fans like you. Basically, you’ve acknowledged that Flash TV has prejudiced you against Flash Film, so is it any wonder that DC FIlms has to protect their more risky and expensive ventures? The problem isn’t the WB, it’s the fact we’re too close-minded to be better fans and bigger people. If WE could roll with different takes, tastes, and variations, accepting of it all without criticism based in comparison, then the WB wouldn’t have to limit access to the toy chest, knowing fans won’t pit a TV rendition against film, comic against TV, or the past against the present. Business and legal reasons aside, purely creatively, the WB is completely justified unless and until we can be better fans. Unfortunately, the fanbase is extremely schizo about this kinda stuff, and there’s just no pleasing them at times. Extremely well said, I have been asking the same question for a while now. I don’t understand the “why” at all. I don’t think having two live action actors play the same character will confuse anyone nor hurt the bottom line of Warner Brothers. I don’t see anyone on the planet not seeing Batman vs Superman, if either Batman or Superman showed up on the CW Arrow or Flash shows. I don’t think Fox or Disney went bankrupt after we had two Quicksilvers. I can’t see anyone who benefits from Arrow killing off all of the Suicide Squad members, nor them not being able to even mention Gotham or Metropolis exist. They need to make use of the multiverse, to show many different versions and takes on these great characters. I would love to see a DCTV Justice League that’s a little bit brighter and fun than the one the movie version will portray. They have had easter eggs on the CW shows for the other Justice League characters maybe existing, so they should just let it happen. Maybe have a mini-crisis that combines the CW shows with the Supergirl universe. It is pretty simple, they know they are stupid, and they do not want to being criticize by having another super character like a really good made Clark against a not so good acted Clark, is like if you do not have a comparation point you can’t be disappointed since you do not know more. I’d love to see a tv version of Batman run around, follow his origin story and his training to become Batman and then when he comes back to Gotham to deal with the criminal underworld. But not on the CW. That would be terrible. And one reason is probably because they don’t want their big guns being diluted at the same time. And some people may get confused on why there is a batman on tv, but why is it different than the movie that is out? There are plenty of reasons on why they don’t want to do this. I’m thinking the reason might be because there’s only so many actors to go around; WB might not want to unnecessarily double cast the same role for both TV and cinema when they could be filling another necessary role in the movies. Mark this as one of the rare occasions where I actually agree with you, wholeheartedly. I would also add to that, with: why be redundant, when you don’t have to? With as many shows on TV as there are movies, and literally 1000’s of DC characters, I’d rather they focus on lesser known characters on TV, bringing them to prominence, while letting the marquis, A-listers get their shine in the movies. Also, characters like the SS on Arrow were bearly recurring roles. They didn’t add that much to the DCTV storyline. Don’t get me wrong; it was cool to see thm on TV, but if the movies can do them more justice (no pun), then I for one gladly take the draft trade. In todays world where tv is catching up to film in quality the film division could be worried about tv doing a character or storyline better than the movies can. Done well, Batman would be amazing as a weekly live-action televised series. So much so that films wouldn’t even be necessary, and would pale in comparison. Maybe WB knows that, and doesn’t want to risk the financial loss that pointless movies would be. Supes, GL and JLA would be tough on TV. Anything really relient on effects needs the budget of a film, and the effects on today’s TV comic book properties are always a weak spot. It’s hard to make a lot of this look good on TV. Batman as a weekly series, though, that would be amazing. A long-lasting criticism of DC as a whole be it whatever form of media is that the company relies too much on Batman, Superman, and Wonder Woman so now that WB is finding success with lesser-known characters like Green Arrow, the Flash, and Supergirl, all some people want to ask is where are Batman, Superman, and Wonder Woman? You know what? Those shows don’t need them and, speaking for myself, I don’t even look for them because other than having a geekgasm what will a Batman appearance bring to ARROW? Nothing really because Stephen Amell as flippin’ Oliver Queen has centered a show and a universe that has allowed WB/DC to showcase how rich the DCU really is outside of the Trinity. We have weekly shows on mainstream networks now that throw around terms like Lazarus Pit, Speed Force, White Martians, and no one blinks an eye. By the same token, we’re on the cusp of a shared movie universe that will tell truly epic tales that I think will revolutionize what is truly possible with films and superheroes. I wanted Amell and Grant Gustin to make the jump to the movies as much as anyone not because I wanted the cheap thrill of saying it’s #allconnected but because I think they’re good actors and loyal foot soldiers who have earned the chance to play in the big leagues. WB went the other way and I see the wisdom in that choice because rather than wait around to see how a director with a vision is going to re-imagine the Batmobile or Superman’s costume for the umpteenth time, I can watch Green Arrow fight Ras Al Ghul, the Flash go to Earth-2, and Supergirl and J’onn J’onnz take on Jem, Son of Saturn every week. All that’s done without having to call in the proverbial big guns of the Trinity and if that means I don’t get to see the Suicide Squad on ARROW or Superman on SUPERGIRL then I’ll take that trade off every day. Yes, this. Could not have said it better. Good to see that there are some folks with some sense. I’m a little late to this discussion, but I think the reason is simple. When a product is rare, it’s value increases. Since we get a live action Batman movie every 2-4 years, fans crave him and they line up to pay the big bucks to see him on the big screen. The super fans will see everything that they can put their hands on, but for the common viewer, if we see the character every week on TV, a movie version is not as attractive anymore. Let’s be honest, had we already seen some live action Batman vs Superman conflicts on TV, people wouldn’t be buzzing and excited as much as they currently are for the movie version. They would be saying “Not another Batman vs Superman story. Where is the original content? It’s more of the same but with a bigger budget”. Keep it rare. Keep the audience wanting more and you increase the value of the product. It’s that simple. I personally am a big fan like most of you and they could release a new Batman or Superman episode every day and I would watch all of them and pay to go see the movie and probably even ask for more… so it’s hard to understand and accept that logic, but if you ask why they do it, I think it purely is a matter of keeping the level of quality up and keeping the audience asking for more. That’s also what’s currently scaring me about Star Wars. Disney is pushing so much Star Wars content down our throats, and right now we are eating it all up, but how will we feel about new Star Wars content in a few years?